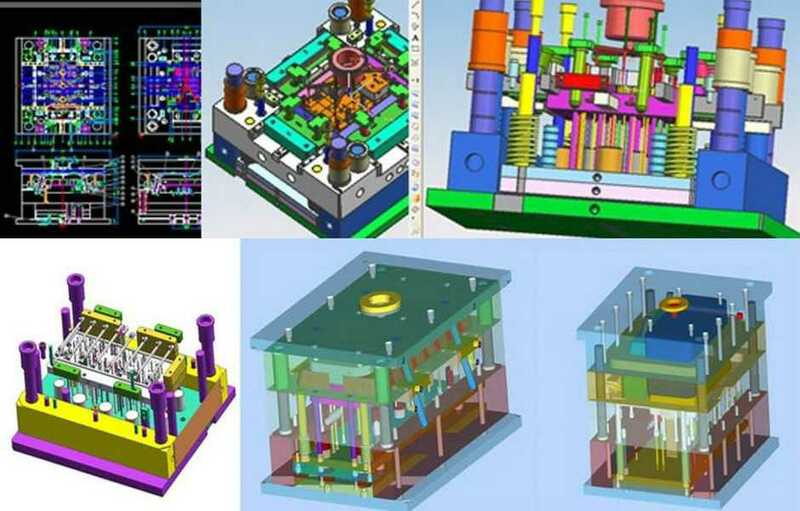 In the fast paced world of plastic molding, injection mold design is one of the most interesting and challenging jobs to be found in this plastics field. You will draw upon all of your creative abilities as you develop the design for new products. It might look easy because of the powerful software like CAD, UG, solidworks, Proe ,all of those tools can very very helpful and work fast, but in reality, they are just tools to help you. In the field of injection mold design you often must develop new and original methods of plastic molding. This sometimes requires a lot of creativity and inventiveness. What is a typical day like for injection mold design? Most injection mold designers follow a schedule similar to the mold makers. Because their mold designs are soon going to be manufactured by the mold makers, there is a very close relationship between these two. A mold designer spends most of his time at his computer, using powerful CAD saftware such as Unigraphics, AutoCAd, SolidWorks, MasterCam, Pro/e and many, many others. Nowadays, the programs are incredibly fast and powerful. 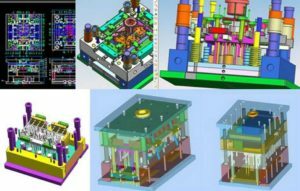 Very often the mold designer will be required to communicate with the various mold makers, CNC programmers, WEDM operators, etc.. This rapport is critical for a successful career as an injection mold designer. Usually the designer does not work quite as many hours per week as the mold maker. Often mold designers have a shop background and help out in the mold making shop as well. This is especially common if there is a slowdown in design and a lot of work in the shop. How do you become an injection mold designer? Essentially, there are two paths in the USA. One is to learn on the job and the other is to learn at a design school. Both are common and work well. Many Plastic Mould designers come from a mold making background. This is especially helpful to provide a realistic approach to mold design. There is no substitute for practical experience! Several tech schools and universities offer excellent courses on plastic injection mold design. A background in mechanics, spatial relationships, ability to visualize 3D parts, and mathematics are all essential. Is there a future in injection mold design? Like everything else associated with the plastics industry, the answer is yes and no. Yes, because the plastics field is growing all the time and skilled designers are in high demand and low supply. No, because the field is so competitive on a global scale. In this electronic age the designer does not even need to be in the same country as the mold maker. I had this experience at one shop; the designer was in Canada and we were in the USA. It worked well, but required considerable phone time on the part of the project manager. Conclusion Working in plastic mold design is challenging, interesting, secure, well paying and in demand. Anyone interested will find many good courses available and companies seeking qualified designers.